I would like to share with you my journey of the last few weeks. In early June, I got a big surprise which has dominated my life along with my family’s lives. The success of my adventure and the good side of it all it is just becoming very clear. I need to share it. As many of you know, I have been planning to go to Philmont Scout Ranch, Cimarron, NM, in July, as a leader for a group of young adults. Philmont is a wonderful place. My two trips as a youth are the highlights (literally, at over 10,000 feet) of my own Scouting experience in 1970 and again in 1972 and a trek as an adult in 2007 with my own son is an exceptional memory. A lot of preparation is required for one of these trips. Needless to say, an overweight 58 year old has more preparation required than any sixteen- year-old, but I had made a great deal of progress over the past year. One part of the preparation was a series of four hikes and backpacking trips, the last of which was May 31 and June 1 in Southeast Arkansans. The weather wasn’t very good – rain and very high humidity but my performance on the trip was even worse. I was somewhat light-headed, not very sure afoot and generally did not feel good, all of which caused me to reach out to my doctor on Monday morning. He had me in before noon for blood work and an EKG. The EKG was abnormal and he sent me out for a Stress EKG on Wednesday June 3. The Stress EKG was again abnormal and I was sent to a cardiologist, who scheduled a heart cath for the following Tuesday. We had discussed the possibility of a stent or two, but there ended up being too much blockage for that type of treatment, so a bypass was scheduled for the following day, Wednesday, the 10th. I did not go home from the hospital. I spent the day in anticipation along with preoperative testing and meeting my cardiac surgeon. The preoperative testing revealed I also needed a carotid artery cleanout. I was told I could expect very good results – but it still was pretty scary. So there we have it: my unplanned two weeks off the grid in June has come to an end. My planned two weeks off the grid in July won’t be happening. I am in much better condition now than when this saga began – in terms of energy, strength and stamina, albeit with some rehab yet to begin. I have some things in my personal play book that I need to play closer attention to. I also have a lot to be thankful for: the whole Philmont thing for bringing this all to light, great nurses and doctors, wonderful family, friends and business associates and, especially, my wife, Kathryn, who has been with me every step of this journey. Before this all happened, I had been thinking a lot about being ready for the unexpected and what that means for your business’s continuity and sellability. You can expect to hear more about that as the next year progresses. The Brickman Group, Ltd. and ValleyCrest Companies, LLC, completed their previously annunced merger effective June 30, 2014, according to a company announcement.  The new organization has annual revenues of approximately $2 billion and more than 20,000 team members involved in designing, building, and maintaining landscapes, primarily for commercial client. The Company will continue to maintain headquarters in Rockville, Maryland, and Calabasas, California. Both the Brickman and ValleyCrest brands will continue operating in the marketplace as the organization comes together. KKR&Co. holds a majority interest in the combined company. MSD Capital retains a significant minority interest. For the complete announcement, click here. Registration is open for Planet’s Green Industry Conference, October 22-24, 2014 in Louisville, Kentucky. This year is the 25th anniversary for the Greenm Industry Conference. The educational offerings and networking events look great. There are several new educational offerings.